Despite a course record-breaking 15-under par 52 during yesterday’s opening round of the Konopiště Open, Ricky Wysocki was not ready to rest on his laurels. In fact, in the minutes just after he walked off the course, he was hardly celebrating the triumph. Instead, he was marinating on what could have been. Such is the mentality of the man who currently holds a four-shot lead after round one of the Disc Golf World Tour’s second event of 2017. Simon Lizotte, Paul McBeth, Nate Sexton, and Luukas Rokkanen all tossed matching 11-under par 56s to tie for second place, while five others are tied for sixth place with 9-under par 58s after one day of play in Czechia. From the jump, Wysocki was on fire. He birdied eight straight on the strength of his approach accuracy, as he landed on the green in regulation on each hole of the course’s front nine. He ended the day with an 83 percent rate in that metric to pace the field, 11 percent better than Rokkanen. Even as his frenzied green hits pace cooled slightly after the turn — he only landed within 10 meters of the pin six times, instead of all nine — he made up for it by notching his two outside the circle putts of the day on holes 10 and 15. The 1071-rated round showed the benefits of Wysocki’s early arrival to Benesov — he was in town for a week before the event and logged extra practice rounds, he said — and the multi-faceted skill set he brought with him. “You’ve gotta be able to throw sidearm, backhand, rollers, and I feel like that’s the part of my game where I excel, is being able to throw all different types of shots,” Wysocki said. “I may not be the longest off the tee, but I don’t really need to be. If I have all the different shots and I have the mental game I have right now, that’s all I really need to work with. He’ll be chased by a relentless pack headed by Lizotte, who rode yet another strong putting performance to his 11-under round. With a 100 percent rating from inside the circle and three putts from outside, he was able to make up for the few shots he said he left behind. “This course is so shreddable in these conditions we had today, so 11-down is like the minimum of what we expect to shoot,” Lizotte said. McBeth, meanwhile, said he struggled with accuracy off the tee. Though he was one of multiple players to eagle hole 11, it came in the middle of a six-hole stretch in which he otherwise only carded pars. From there he picked up the pace and was able to collect birdies on four of the last five holes to carry some momentum into round two. Just as McBeth stumbled a bit early but found his rhythm late, Sexton experienced an opposite fate: He went 7-under through the course’s front nine before running into trouble off the tee on the back half. Sexton also ran into trouble on hole 11, a shot that has vexed him since last year’s event. He carded a 6 there during 2016’s first round and a 7 during the final, but managed to par it yesterday. Still, he wasn’t satisfied with the improvement. One area where he did not struggle, though, was in the World Tour’s bullseye metric, which measures how often players land within three feet of the target with a chance for birdie. Sexton hit that circle seven times, while McBeth led the field with eight bullseyes. Lizotte, who matched Sexton’s lucky number in tap-in range, said he was particularly motivated by that statistic. “I was kind of noticing my bullseye accuracy was pretty good, so that’s what I was going for the whole round,” Lizotte said. 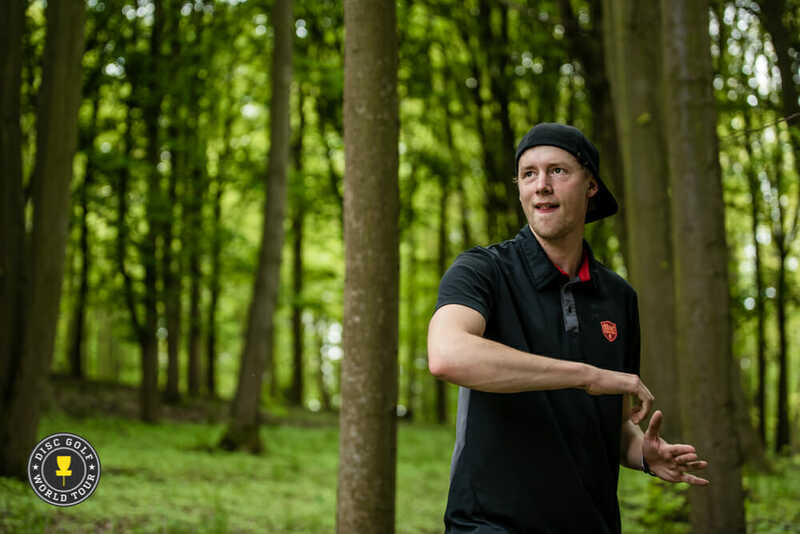 Lizotte, who stopped for a short stay at his home in Germany before the event, announced after the round that Konopiště would be his last event before the PDGA Professional Disc Golf World Championship. He made the decision to skip the next three tournaments — the Masters Cup, Utah Open, and Beaver State Fling — for personal reasons and alluded to wanting to spend more time with his family. “It was six days at home, and it just wasn’t enough,” Lizotte said. But before he can head back to Bremen, he has work to do in Benesov. And while the weather has been a hot-button issue of late — and thunderstorms are forecast for Sunday — Lizotte said he would not alter his approach in terms of planning for a two-round tournament. Rokkanen, a Finnish pro who came in eighth place at the Aussie Open earlier this season, said he made some big putts to propel his round. And while he is surrounded on the leaderboard by well-known names, he was taking it all in stride. “I’m feeling the pressure, but I’m just having fun,” he said. Wysocki, meanwhile, said he would employ “tunnel vision” as he sought to put more distance between himself and the rest of the field during today’s second round. The lead card tees off at 2:00 p.m. local time. 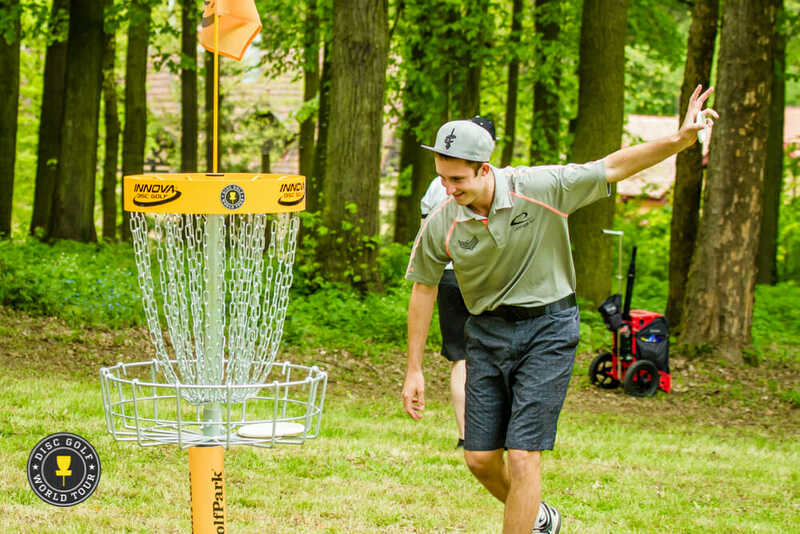 The post Wysocki Breaks Konopiště Course Record En Route To Four-Shot Open Lead appeared first on Ultiworld Disc Golf.